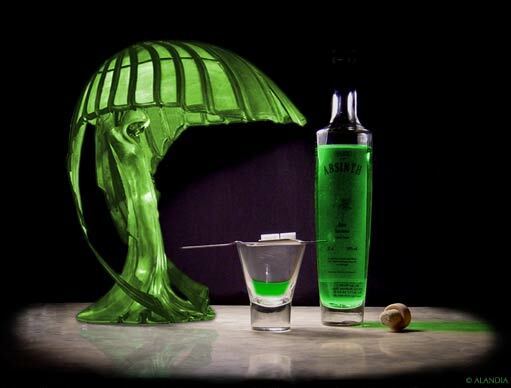 Absinthe is a histrocial spirit. It is widely known under the name Green Fairy, because of its beautiful green color. Learn more about this legendary spirit, learn how to drink and serve Absinthe (the Absinthe Ritual) and what the effect of real Absinthe is. You will also learn which brand is the best, why Czech Absinthe does not louche and why we do not recommend to set your Absinthe on fire. Read more about the fascinating world of the Green Fairy on this site. Enjoy your journey and plunge back to the world of Absinthe! This The Absinthe Guide will give you an introduction to the World of Absinthe. Read and become an Absintheur in four easy steps. Learn more about the Absinthe History and the Absinthe Ritual. How can I differentiate Absinthe Brands? And check out the Absinthe Guide to get an Absintheur.